My favorite purple pastel had a chip. It was just a little nick on one of the edges. But when I made a broad sweeping mark I ended up with a linear mark in the middle of my swoosh of color. Normally this would be a moment of frustration. There is nothing worse than getting a wobbly uneven mark when you want a nice smooth one. And I normally wouldn't be too happy about a chip in my Terry Ludwig pastel. But this time the mark I made made me stop. Instead of feeling defeated I had an AHA moment! If one chip made a linear mark what would a few chips do? 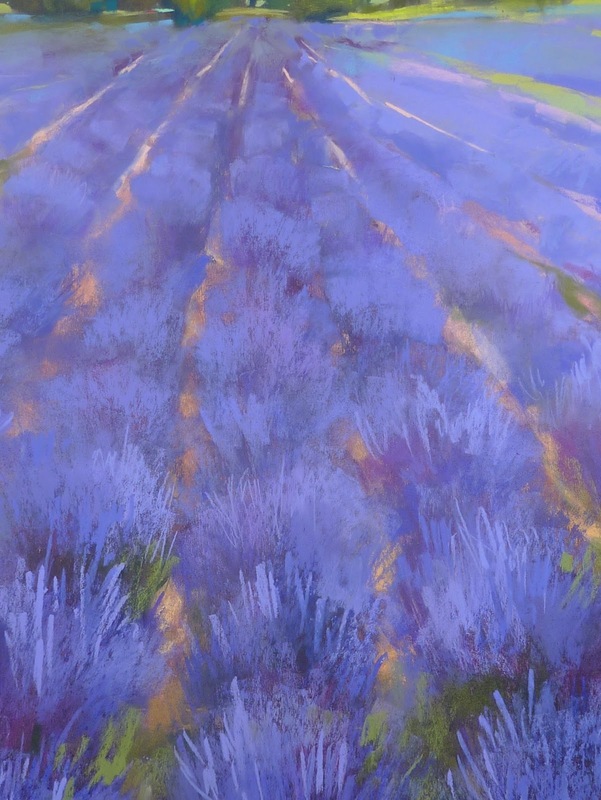 A few well placed chips could very well make a wonderfully expressive and painterly lavender bush! I quickly found a palette knife and made a few tiny nicks in the edge of the pastel. I made sure they were not spaced evenly and that they were not too deep. 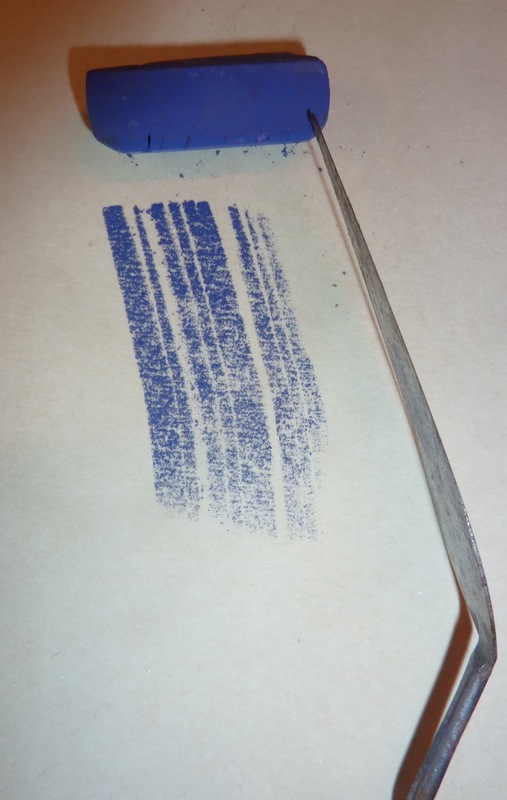 I tested the mark on a piece of scrap paper before using the pastel on my painting. It worked just like I thought it would so I used it on my painting. It was a darker purple and I used it at the base of the lighter purple lavender clumps. It worked like a charm. The marks were more interesting than I had made individual linear marks. I now have a use for a chipped pastel! In fact I will probably chip my pastels more often. And I certainly won't let a rough and uneven pastel get me frustrated again....I will put it to work! Note that after a few passes the nicks were smoothed out through use on my sanded Uart paper so it isn't a permanent situation! 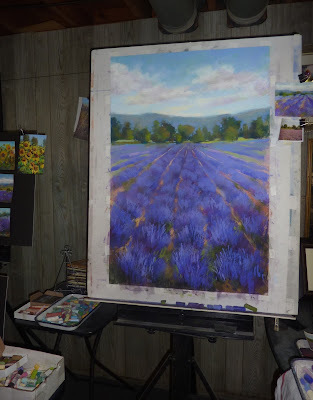 This was only part of the build up of the lavender in this large painting. 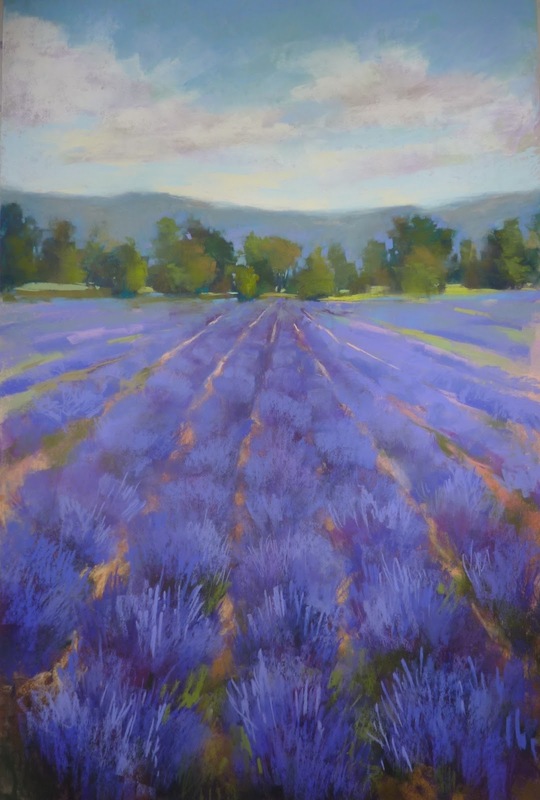 I used workable fixative and even lavender essential oil to build up texture in the lavender clumps. 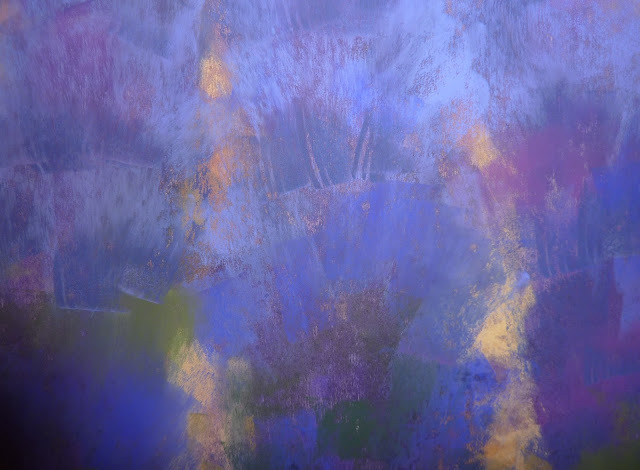 I also did use some linear mark making for the final details. 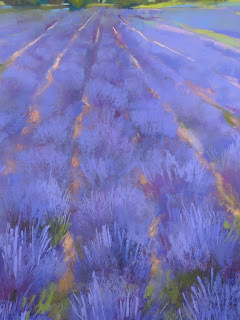 And yes you can smell the lavender! Trying to get a photo that shows the scale of this large painting!